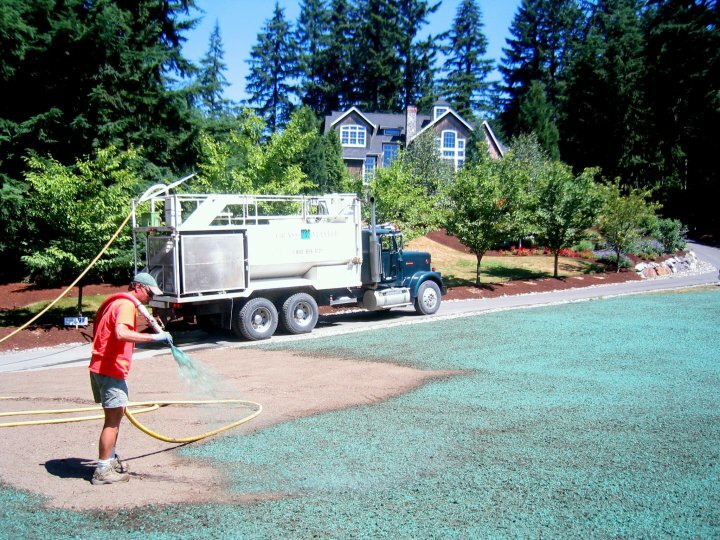 We believe the continued success of your lawn depends upon proper maintenance including regular fertilization, watering, and yearly aeration and overseeding. Power core aeration is one of the most important and neglected practices available for the lawn. Aeration helps control thatch buildup, improves the soil structure, helps create growth pockets for new roots, and opens the way for water and fertilizer to get into the root zone of your lawn. Yearly or twice a year aeration is advised for all lawns, especially those with heavy clay content in the soil, those with moderate thatch build up and any lawn that needs to fill in. 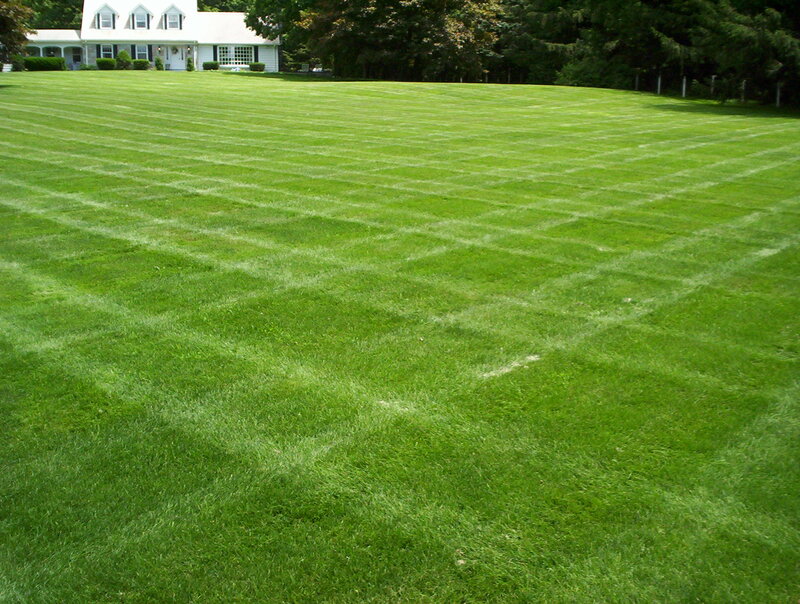 Aeration removes thousands of small soil cores that are 1-3 inches in length from the lawn. These cores then melt back into the lawn after rainfalls, mixing with whatever thatch exists on the lawn. The holes created by aeration catch the fertilizer and water. Turf roots are then naturally grown towards these pockets and then thicken in the process. Aeration holes also relieve pressure from compacted soils, letting oxygen and water move freely into the root zone along with other vital nutrients. Thatch on the lawn works like a thatched roof. This layer of roots, stems, and other plant parts sheds water and prevents fertilizers and insect controls from moving into the soil. Thatch that is too heavy can require major lawn renovation. Regular aeration helps thatch break down naturally by mixing the soil cores into the thatch and speeding up decomposition. Performed once or twice a year, aeration significantly reduces thatch and improves turf growth, providing you with a masterpiece of a lawn. Overseeding is done in conjunction with aeration to help thicken up the existing lawn with matching seed. 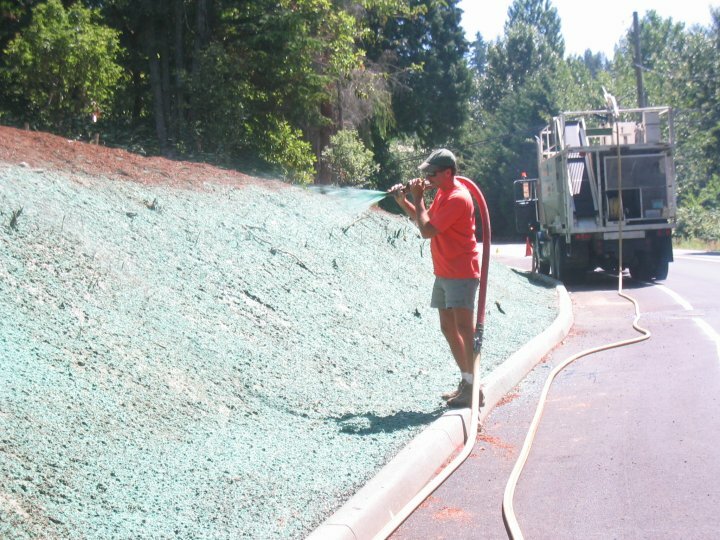 After aeration, matching lawn seed is applied to the entire area at the recommended rate of 3-4 pounds of seed per thousand square feet. 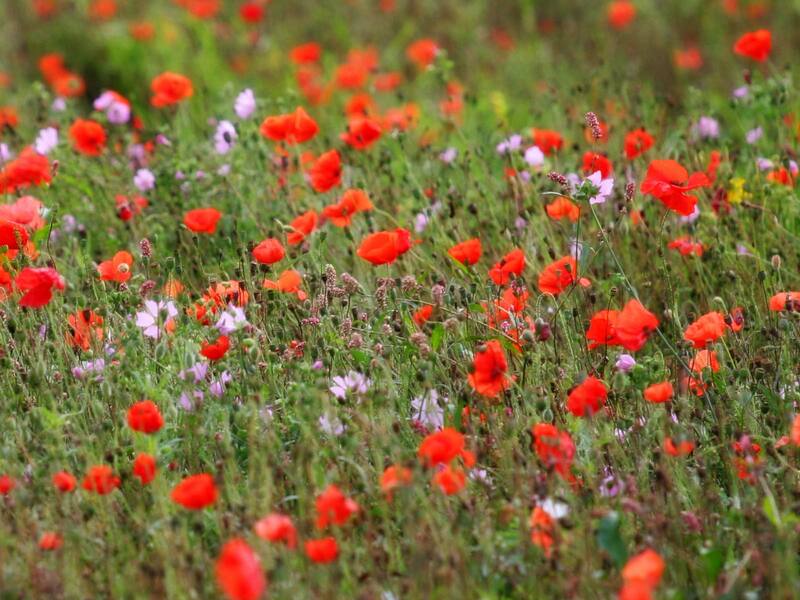 This practice should be done yearly for best results, either in the Spring or Fall. By following the practice of Aeration & Overseeding on a regular basis, in addition to your regular maintenance, you will be improving your lawns health and overall appearance, making it a showpiece for years to come.